Movie Beards: Martin: "Friday the 13th Part VI: Jason Lives"
Martin: "Friday the 13th Part VI: Jason Lives"
By the mid-1980s, the Friday the 13th series was no longer being taken seriously. Paramount had ended the series in 1984 with Part IV: The Final Chapter. However, they quickly realized they had a dead cash cow on their hands, so they resurrected it the following year with A New Beginning. Tom McLoughlin was given writing and directing duties for the sixth film and realized that the series had gone so far off the deep end that he may as well just have fun with the character of Jason Voorhees. So he injected some humor on top of his Universal and Hammer Studios influences and created the most enteraining film of the series. Though it had some legitimate horror elements, Friday the 13th Part VI: Jason Lives is mostly viewed as a goofy slasher black comedy, thanks in part to Martin and his Gravedigger Beard. 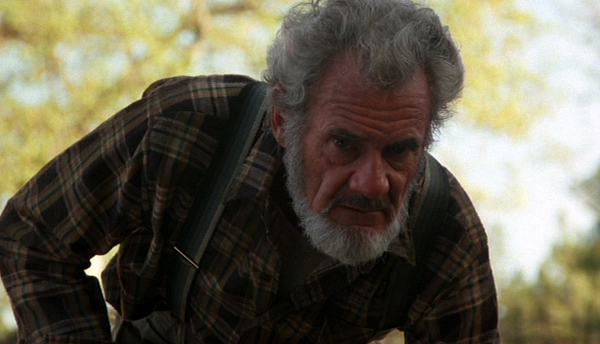 Martin is a rare duck in the 12-film Friday the 13th franchise. Not only is he one of the very few to sport a beard, he is the only character to actually break the fourth wall*. While unknowingly burying Horshack in Jason's open grave, Martin blatantly looks into the lens and tells the audience: "Some folks have a strange idea of entertainment." It's that glaring moment of self-awareness that makes Jason Lives and Martin the Gravedigger such fundamental components of the entertainment value found in Friday the 13th. That's the power of the beard, folks. *Whether or not Freddy Krueger breaks the fourth wall in Freddy vs. Jason is debatable. It's more of a Nightmare on Elm Street movie anyway.